One of the most commonly asked questions of our personal injury lawyers is how innocent car accident victims can get the insurance company to pay for their medical/rehab treatment following a car accident. This involves the proposed service provider completing the OCF-18 Treatment Plan Form.The Toronto Injury Lawyer Blog has already written on the topic of completing the OCF-18 Treatment Plan Form. This previous entry can be accessed here. But, since this question is asked of us so much, we thought it would be of great use to re-visit the topic. After all; getting the car insurer to pay for your post accident treatment is important to your rehabilitation and peace of mind. It certainly seems unfair if you would have to pay for the treatment out of your own pocket when you’re not able to earn an income following a serious collision. 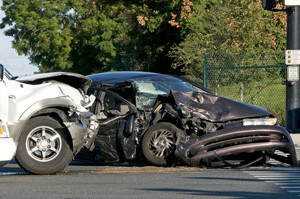 Treatment payments are generally covered after a car accident through Ontario’s No Fault Accident Benefit regime. But, the accident benefit scheme is very complicated and can be very tricky to manage on your own. Even for lawyers, the system is tricky. For starters, the first form that needs to be completed is the OCF-1 Application for Accident Benefits. This form opens up an accident benefit claim for the insurance company. Once an accident benefit claim has been opened, you’re then eligible for med/rehab benefits such that the insurer ought to pay for the cost of your treatment. The first level is $3,500 for med/rehab treatment. If you’re in this level, then the insurer has assigned your case in the Minor Injury Guideline. These are for soft tissue injuries deemed to be minor. It does not cover psychological impairment. Insurers will assign a majority of their claims in to the Minor Injury Guideline because it saves them money! Claims can always be moved outside of the MIG provided that there has been sufficient medical evidence showing that the injuries fall outside of the scope of the MIG’s injuries. The second level of treatment is $65K combined for attendant care and/med rehab benefits. Hypothetically, you may be entitled to $65K in physiotherapy benefits should your injuries meet this threshold. The third level is for a catastrophic claim, where there is a combined limits for med/rehab and attendant care benefits are $1,000.000. While this may seem like a lot of money, it should be noted that these limits have been cut in half from $2,000,000 to just $1,000,000 last month. Here is a great chart showing how accident benefits for car accident claims have been cut since 1996. If there are collateral benefits accessible to the injured client, those benefits must be accessed first. Only after those collateral benefits have been accessed and exhausted, will the accident benefit insurer pay. Why? Does this seem unfair? Yes it does. The car insurance lobby is a very powerful one. They have lobbied the government to require that car accident victims first use up their own private collateral benefits (SunLife, Manulife, Great West Life, Greenshield, Blue Cross etc.) before they get to access benefits from the car insurer. The net result is that the accident benefit insurer effectively pays LESS per claim because they get a credit from the collateral benefit provider. Just because an OCF-18 Treatment Plan is completed, doesn’t mean that it will automatically get paid/approved. The insurer gets to act as Judge, Jury and Executioner when it comes to the approval or denial of the proposed OCF-18 Treatment Plan. The insurer can approve the treatment in its entirety. They can deem it to be partially reasonable and necessary and only approve a portion of the funding. Or, they can deny it entirely, and send it for an Insurance Examination or (IE). The result of the IE will determine whether or not the insurer will approve or deny the treatment plan. If the OCF-18 Treatment Plan has been denied, the injured accident victim can pay for the treatment out of their own pocket if they have the means to do so. But, we recognize that most seriously injured car accident victims don’t have the means to pay for treatment when there are other bills to pay (rent, hydro, mortgage, food, child care, etc.) In these situations, the accident victim has to unfairly wait for the results of the IE, or for the insurer to approve treatment. Should the OCF-18 Treatment Plan get denied, or should the insurer wait too long to give an answer, the accident victim can make an application for the License Appeals Tribunals or LAT. The cost of the application is $100. What’s ridiculous is that the challenge a $1,000 treatment plan for physiotherapy, that 10% of the value of the treatment plan ($100) will have the be spend on a non-recoverable application fee to the LAT. That $100 application fee is only the cost of the application! There will be other fees associated with the LAT application such as the cost of service, postage, medical records, faxes, courier, binding briefs and photocopies. You could spend more on these items at the LAT then the value of the treatment plan itself; without any mechanism to recover any of these expenses because the LAT will NOT pay for the cost of your out of pocket expenses for making a LAT Application. Challenging a simple OCF-18 Treatment plan has become a battle of who has the deepest pockets. An insurer will spend $5,000++ in legal fees, on a $1,000 issue. Our lawyers have seen it time and time again. This was not a consideration when the Ontario Government moved accident benefit disputes from the Financial Services Commission of Ontario to the LAT. One more big point you should all be made aware of: If an OCF-18 Treatment Plan has been denied by your insurer, you CANNOT sue your insurer for the denial. The only recourse of action you now have is by making a $100 Application to the LAT which will not re-reimburse you for any of the aforementioned out of pocket expenses you may incur over the course of your LAT application. The best course of action for accident victims is to either pay for the treatment out of their own pocket, or pray that their OCF-18 Treatment Plan gets approved at first instance.